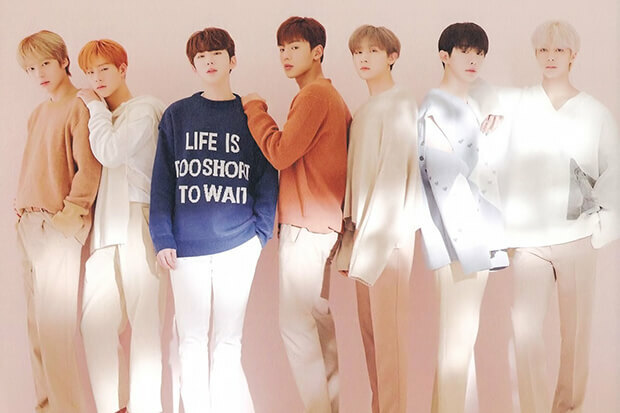 Monsta X Teams Up With Steve Aoki For "Play It Cool (Korean Version)"
We speak to K-Pop Kings Monsta X about their global appeal and new music. Monsta X is ready to take their spot at forefront of the K-Pop wave currently shaping pop culture. The 7-member group is releasing a new album called Take.2 We Are Here on February 18 and it includes one rather large surprise. The “Shoot Out” hitmakers have joined forces with superstar DJ Steve Aoki for a new banger called “Play It Cool (Korean Version).” (Does this mean there’s an English Version on the way?) “It was such an honor and pleasure to work with [Steve],” Monsta X told Entertainment Tonight. “We are huge fans of his work, and we were so excited to find out that he is a fan of Monsta X as well,” they continued. “Steve is such a great guy, and he’s been like a brother to us. We had so much fun working together and are so excited to share the track with everyone on February 18th, when our album Take.2 We Are Here releases worldwide.” This is a major coup for the rising boy band. After all, the producer’s previous collaborators include BTS, Louis Tomlinson, Lauren Jauregui and Linkin Park. In other Monsta X news, the rising stars also unveiled the cover art and tracklist of Take.2 We Are Here. Check them out below.